How far are you from filling out your wish bucket list? 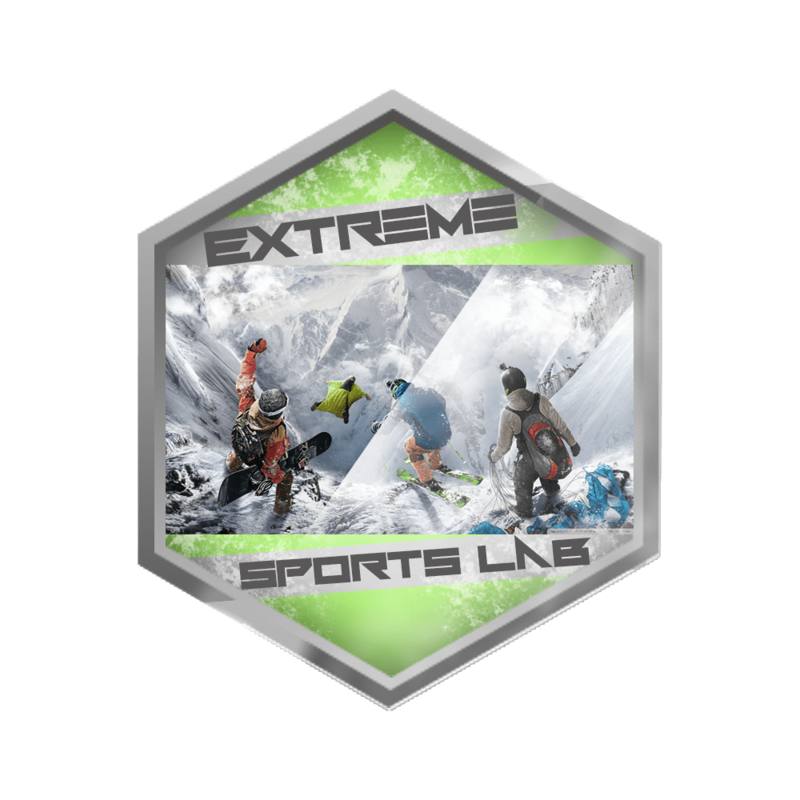 Are you an extreme sports lover? Do you want to try out the most extreme thing out there? 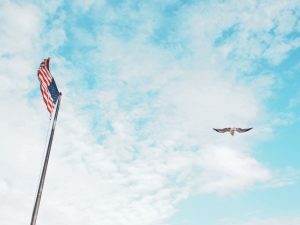 Do you want to satisfy your dream of flying freely? Want to feel what Superman feels? Most importantly, do you want to change your perspective of life? If the answer is yes to any of those questions then you surely can count on skydiving. Skydiving is said to be one of the safest sports out there. 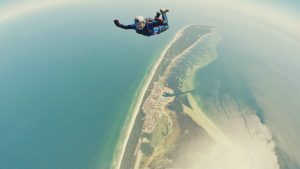 At first, you cannot go skydive on your own. You have to tandem jump with a professional diver. These divers go through 20 lessons to obtain a certificate. Before every dive the professional divers double and triple check everything. Once you arrive at the airfield you will be given a brief instruction on what to do if something goes wrong. 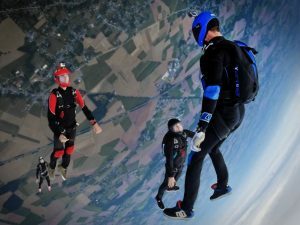 Skydiving statistics say that skydiving death in 2017 is one in per 133,571 skydives. Tandem skydiving is even more safe with a record of 1 fatality in every 500,000 jumps. This rate is the lowest among every extreme sport. Even car accidents have a far greater fatality rate. The feeling cannot be expressed with words. You cannot even imagine how amazing the whole thing is. Think of something like this. You are falling at a 120 mph for about 1500 feet. This is the freefalling part. You can feel the adrenaline rushing through your bloodstream. Once you complete the freefalling part, the parachute opens up and you get the slow floating fun time till you reach the ground. If you choose the place right you might see mountains, sea and plain fields at the same time. During the freefall part, you feel one with the universe. You get elated by experiencing the god’s eye view and later the bird’s eye view throughout the dive. You feel as if you were the universe and you can truly experience the beauty of this world. If you see some of the skydiving videos on YouTube you will see that no one has a sad face. Every diver has a smile on his or her face. This is the smile of pure joy and excitement. This is the joy of conquering your fear. Once you reach the ground you will realize that you have spent the best few minutes of your life. People get confused about their first skydiving attempt. Where to go, how much does it cost, which place is the best etc. you can get some idea from here. There are some top places people visit for skydiving. The cost varies from place to place. The Dubai skydiving has gained its popularity throughout the years. The reason behind it is the world-class schools, great areas and great master divers. You can enjoy the great dessert or the great man-made island- the Palm Islands. These are two places for skydiving in Dubai and these two places offer fully different and outstanding experience. Cost of skydiving in Dubai is around $466 USD. Would you like to skydive from the highest point approved? Then Thailand is the place. In Pattaya, you get to experience one of the greatest moments of your life. This great adventure will cost you around $320 USD. There is a discount if you go with your friends. The price can drop to $265 if you can manage 11 or more people. 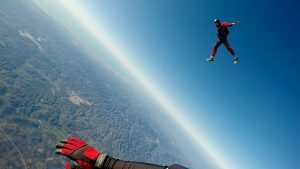 New Zealand offers another high altitude skydive. From a height of 18,000 feet, you can jump and experience a free fall for almost 60 seconds. The bonus is the amazing view of New Zealand. If the weather is with you then you can enjoy the view over the Main Divide, loads of glaciers and the Tasman Sea. Skydiving here is a bit costly than others. It costs around $549USD for 18,000 feet jump. And for 12,000 feet the cost is around $299. Spain itself is a beautiful country and you can enjoy the beauty form a new angle through skydiving. 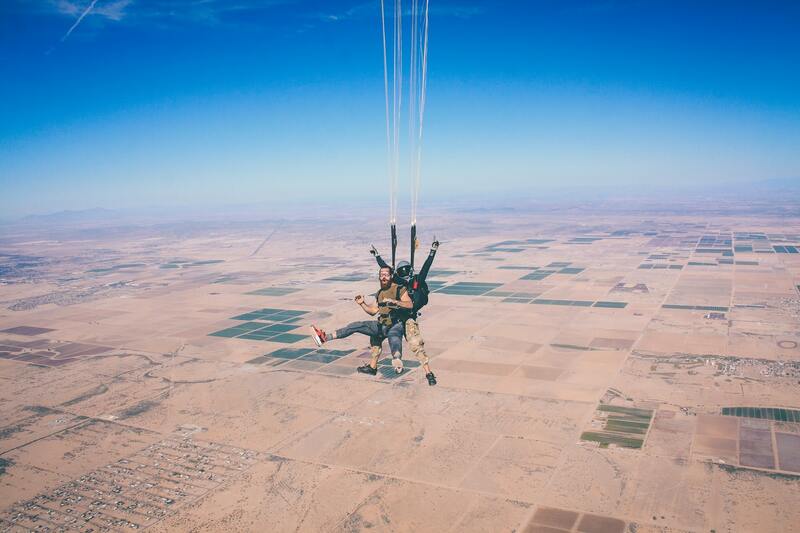 Here you can jump from 15,000 feet. This is the highest exit attitude permitted in Europe. The cost here varies with height. For 10,000 feet the price is $194USD, for 15,000 feet the price is $240. USA has very differentiated choices for you. For skydiving, you can go to Tropical Hawaii, Snowy Alaska, Seaside Florida, Pennsylvanian Mountains etc. Hawaii offers you the 20,000 feet drop and a free fall of 100 seconds. Alaska is all about natural beauty with a drop offering of 10,000 feet. Florida offers a panorama view of the Atlantic Ocean, Gulf of Mexico, and Key West islands, adjoined by the Overseas Highway. In Hawaii, $250 is charged for a 12,000 feet tandem jump. But you have to pay $1600 if you want to jump from 20,000 feet. 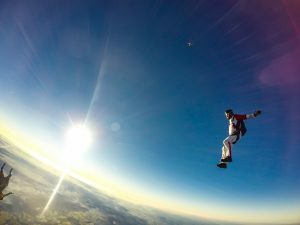 In Florida, 15,000 feet tandem jump is charged $340. All the places offer a different experience. Some are cheaper and some provide a better experience. One thing is common among all the places. That is diving form any of these places are safe. Because of skydiving, I do three things nowadays. One is to have trust in others, two is to listen to others and lastly to have faith in yourself. If I didn’t listen to my instructor and didn’t trust him completely then the dive could have gone wrong. This made me understand that in order to make the world a better place we need to listen to others and trust them a bit more. I had fear of heights and before jumping my instructor told me that “jump and you won’t fear height again”. This dive increased my faith in myself. I was concerned about diving and was thinking about canceling. Once I did it I felt amazing and as result now I am a more outgoing person. 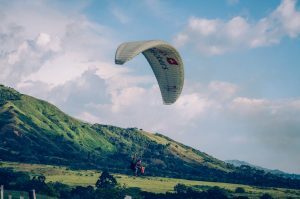 Before skydiving, I did other extreme sports like mountain trekking, downhill biking and kayaking. But I have to admit that this experience is life changing and is on a completely another level. I cannot wait to dive again and again. You should give it a try too. I can relate when I had my first skydiving experience. My first jump was overwhelmingly filled with joy and laughter all throughout the end. I couldn’t forget it. I’m preparing for my third jump somewhere in Egypt and ready to propose to my significant other. Yes, we will do tandem jumping soon. Send us some pictures, by the way!